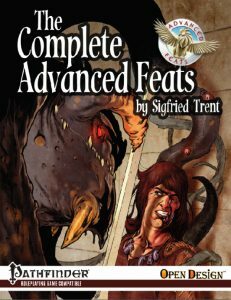 The Complete Advanced Feats is Now Available! Taking feats to the next level, the Complete Advanced Feats brings you all 180 feats from the popular and critically acclaimed Advanced Feats series. It’s time to take you character in brave new directions! 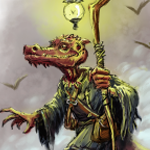 The Complete Advanced Feats contains daring new feats like Create Wondrous Creature which lets you breed fantastic monsters of your own design. It also has highly balanced takes on classic notions like Oversize Weapon allowing you to wield a greatsword in one hand or brandish a giant’s club. Teamwork feats like Back To Back enhance group strategy and greatly expand the range of teamwork options in Pathfinder. Storytellers will enjoy RP focused feats like Prophetic Dreamer and Soul Mate which both build character and drive story. 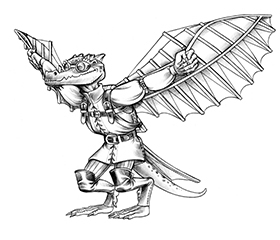 The Complete Advanced Feats is available as a PDF or in print plus PDF from the Kobold Quarterly store and other fine retailers. This is a great product, and one I’ll be getting soon. Is there a feat collection such as this for the core classes? Not yet, but many of the feats in this one are excellent for core class characters. And who knows, we might yet convince Sigfried to tackle the core classes as well! Get those core classes done and the Magus and Gunslinger too.